ONEcount helps media companies of all sizes and types identify their audience. Industry-leading publisher of magazines and digital products to over 365,000 qualified subscribers. Our wide range of content distribution channels provide engineers with news, products, educational opportunities and industry trends. The world's most comprehensive supply chain management information resource. In addition to providing complete coverage of all fundamental supply chain principles, SupplyChainBrain identifies emerging trends, strategies and best practices, forward-thinking ideas, cutting-edge solutions and the latest innovations - and continues to write and report on these as they evolve and mature. As the industry’s largest medical communications company, Frontline serves more than 1.2 million physicians and other health care professionals with more than 30 diverse brands and 40 active web sites, 125 eNewsletters and 18 live events. A multi-channel platform recruiters use to leverage the reach of medical brands trusted most by Physicians, NPs and PAs. Over the course of almost half a century of award-winning journalism, design, and the presentation of important new ideas from the world’s leading thinkers, Foreign Policy has established itself at the forefront of media organizations devoted to the coverage of global affairs. 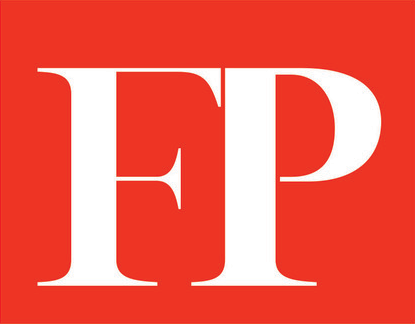 Through Foreign Policy Magazine, ForeignPolicy.com, and FP Events, the FP Group reaches an international audience of millions and has become a trusted source of insight and analysis for leaders from government, business, finance, and the academic world. This global publisher was looking to centralize audience identification across all channels and devices to boost online subscriptions. ONEcount was deployed as a single sign-on/gating/ paywall solution across the publisher's digital enterprise. All user accounts, including social log-ins, were captured in the ONEcount platform and connected to a single user ID. Previously one user signing in on Google, Facebook, mobile and a web browser was treated as four separate accounts, each with its own number of "free" page views. With ONEcount's ability to tie all user activity—cross browser and cross device—back to a single individual, the publisher was able to more strictly control the number of free views a user was able to have across all of their accounts. This generated more conversions from free to paid subscriptions, allowing the publisher to tweak its freemium membership model and derive a significant increase in new revenue. An additional $400,000 in subscription revenue in the first year, with an additional 20 percent growth anticipated for the following year. The primary advocate and voice for the magazine media industry, driving thought leadership and game-changing strategies to promote the medium’s vitality, increase revenues and grow market share. Established in 1919, MPA represents 265 domestic, associate and international members. Let ONEcount help you grow revenue today!